The U.K could really do with some more american beauty brands crossing over to us…american brands seem to have their finger on the pulse with colours and trends and these trends are influenced across both drugstore make up and high end make up! If your after brands such as Ben NYE + other pro products you can get these from a variety of theatre make up supply shops online and also sites like Love make up. Be wary some people use this cult name as a licence print money – Ive seen 1g-5g pots of its powders sell on eBay for up to £6.00 – when a) you can’t verify the products and b) The 42g size should only cost £6-7 in the UK! Other option are services such as USA box – where you can get a USA postal address that you can send products, they then compact all your deliveries into one and forward to the UK usually saving you quite a bit of money in the process. Ordering from the USA directly can be a bit of a nightmare – Products have to come over via air or freight and that means customs, long waiting times and also import charges. This can be a clever tool if you want to find out how much you will be charged when it arrives in the UK – Duty calculator. I know so many people that get caught with this and don’t realise its not included in the shipping. Also if its not paid on time etc they will be sent back to america! 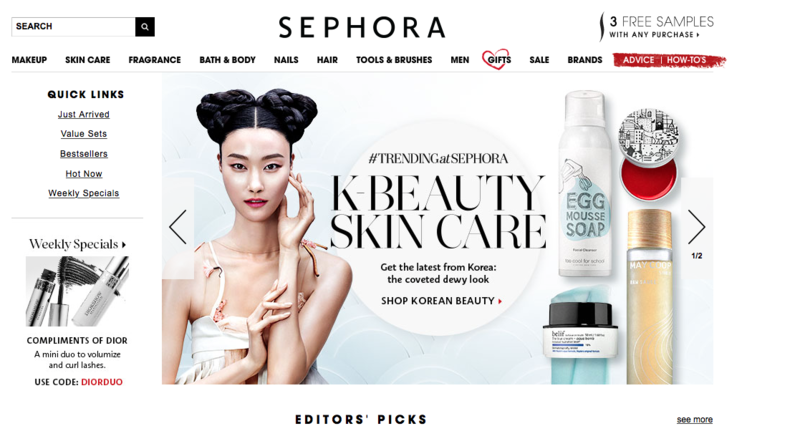 …..One saving grace is the Mother land of all make up artists – Sephora. By ordering on the site they offer a complete shipping policy. If you spend over £75.00, for around £6.00 you can have your products sent here and all duty etc will be sorted by them! – amazing! – The best part of it is all their brands are in US Dollars so brands are much cheaper than buying in the UK sometimes up to half for example the ABH contour kit is $40.00 ( around £26.00) which retails at £40.00 here …also they have great sets like Tartes holiday set which has a value of around $394 and for $59, and also upon check out you choose 3 of their weekly samples to try which come with your order! – We just don’t get things like that over here! So I hope you all enjoy some little hints and tips on USA brands and happy shopping! Previous Article← Review: Beauty Works Deluxe Extensions!